The original title of this blog post, no kidding, was: I Thought Sexism Was Dead, Politics, Chicken Thighs, Costco, and Other Matters on my Mind. I was fearful of what sorts of internet searches would land people on this site, so thought I would play it safe and play on Corner Gas’s episode on blogging with Hank Talkin’. This isn’t a political blog. It’s a blog about food and wine. However, I like to think I’m flexible, and today will be an exception as I like to think most of my readers are flexible too. Not flexible as in able to do a Downward Dog without grunting, but flexible in the sense that you will allow me to step away from food and booze for a second. Allow me please, to get this off my chest, then I will be able to continue: Yes, everything you heard about writing is true. It can be therapeutic! I kind cryptic like Carly Simon in her song “You’re so Vain”, but that’s all you’re getting. Completely unrelated, and yet oddly, another political thing, this weekend is the Alberta Party’s convention in Red Deer. Work chum, neighbour, and fellow blogger at GMacMedia is excited about the Alberta Party. Gerard is one of those people I have listed under the People I Admire category that I maintain in my head. He’s a family guy, comes across as having it together, focused, intelligent, kind, great person, AND, he takes the bus. He’s also involved with the Alberta Party. I liked what he had to say about the Alberta Party in his blog. It was enough to get me curious, so I checked out the Alberta Party’s website, and was impressed with what they had to say. Enough that I joined the party. At the time of signing up, I was gung-ho to attend the convention, but had second thoughts. What would I say? Do? I’ve never been to a political convention, and my vision of people running around with various pieces of clothing askew, booze flowing freely, paper hats, and “accidental falls” in hotel pools is not true. If it were, I would be on the road to Red Deer right this minute. But this weekend, I know, is about building a better Alberta. It will be a meaningful and significant weekend. Exciting for those who are attending because they are part of some significant change for Alberta. We need this, we need those people in Red Deer to do this. (But if you all need someone to help push people in the pool, text me). What’s next? Oh yes. Chicken thighs and Costco. I had some time to fill last Tuesday, and thought I would do a quick visit at Costco for our usual items: toilet paper, beef jerky, and chicken. Stop. I know what you are thinking. You guys pay annual dues at Costco for just toilet paper, beef jerky and chicken? Yes. Yes we do. We are seduced by Costco. Somehow, we think their products are better than anywhere else. I like buying toilet paper that will last us six months. Michael likes the electronics (he could stand in the TV aisle for HOURS if I didn’t hen-peck him to the toilet paper aisle). When we bought our car, we bought it based on its ability to carry a Costco size package of toilet paper home. You think I’m kidding. I’m not. On Tuesday, I bought one of those huge packs of chicken thighs. I was being frugal. For two people, we’d be in chicken thighs for weeks… and weeks. Being the woman that I am, I cooked us up a supper of chicken thighs in tomato sauce. The remainder of thighs, on Tuesday, I put on a baking sheet, and placed in the freezer to freeze, then was supposed to place in a Ziplock for future reference. Did I put them in a Ziplock for future reference? NO!!! I realized this on the bus ride home this evening. I nearly shouted out on the bus ride home, “Oh. My. God. The chicken thighs have been sitting the freezer since Tuesday (today is Friday), unprotected!”. All I can say is this. If I invite you for supper, and the menu is chicken, be warned. You might be eating unprotected, slightly freezer burned chicken thighs. PS: Am I the only one who squints and turns their head and is certain they will lose an eye when uncorking a bottle of bubbles? PPS: HA! I left the hubster in charge of dinner, he refused to believe me that basmati rice had to be rinsed. He denied the instructions said to do this. I just heard him make an exclamation from the kitchen, and he has just declared to me now, that we, in fact, “need” starchy rice with our supper. Men. Love them. PPPS: Hubby thinks he’s Randy Bachman and Burton Cummings, but sort of sounds like Geddy Lee. PPPPS: Prosecco getting to Hubster’s head. He has just called his computer, “You flipping piece of turd.”. I’m glad you feel like Carly Simon. But you’re too cryptic for me! 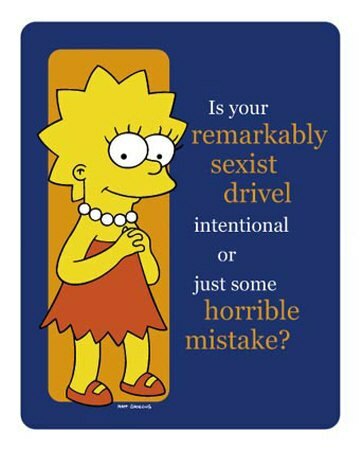 Who was being sexist? Who??? And how??? I’m all agog now. The secret dies with me. I can’t wait to hear more about the AB party, Gerard. I think good things are going to transpire for Alberta because of this group. And as it happens, I checked my diary, and I am available to be the expert for your policy section on yummy food. At the very least, I could bake cookies for a meeting.